Some creative soul assembled a fall tableau and tied it to the telephone pole near the neighborhood mailboxes. What a delightful surprise! Naughty calves, forever slipping through the fence out of the pasture. I herd them back in and they know exactly where to go. That's why Don had to tighten the fences a couple days ago. The snowberries seem especially large this year. Same with the rose hips. Some old-timers say this indicates a hard winter ahead. Time will tell. An orange placard means "No Hunting." Are snowberries edible? Don't tell me - they taste like chicken, don't they??!!!! 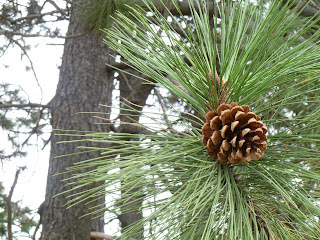 I especially love the pinecone photo. 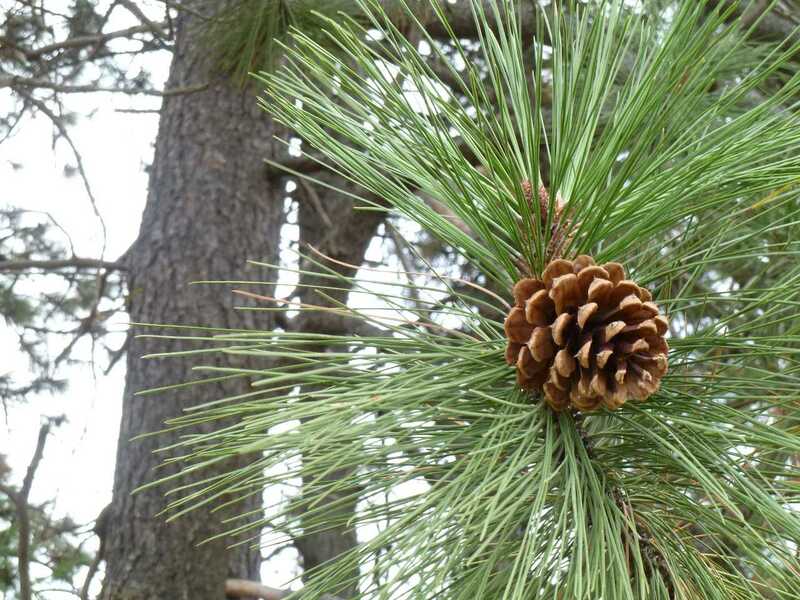 I'm partial to pinecones anyhow, but that photo really is nice. It's not got all those complicated computer chips and so forth that newer tractors have, so here's hoping it is easy to fix and back to work soon. what is a snowberry? is it edible? does it flower? would really like to know as i have never seen or heard of it, and it looks pretty interesting. your sunsets are sooooooo pretty. there are too many trees to see a good sunset where i live, but i have the most amazing views of the stars and moon when i look up from my deck or out the front door-it is like being in outer space. Edible for birds but mildly poisonous to humans. Besides, they taste like ca-ca.